Happy dog days of summer, everyone! It’s that time of year when it’s just so stinking hot that I really can’t stand much of anything touching my skin. Every year, about mid-July, I get to this point where I just stop all other projects and put my full focus on making a few sundresses. It seems, in my climate, I can never really have too many of them to get me through the long, hot and humid summers. 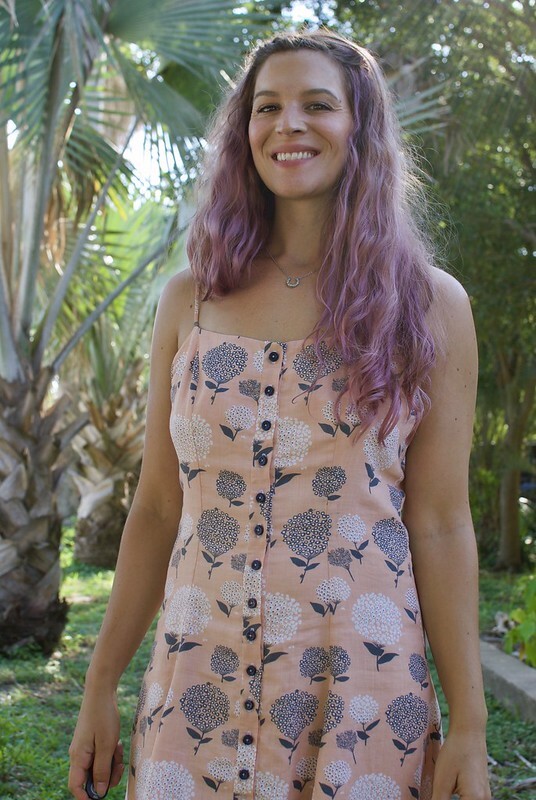 Have you noticed how many summer dress patterns (and RTW dresses, for that matter) feature these cute, button front closures? I’m not one to follow trends, but I’d say the button front dress is definitely a trend for summer 2018! This pattern is actually quite a few years old, but I was drawn to the 90’s vibe, button front, princess seams, and cute flared skirt, and, perhaps my most favorite feature, that eensy-weensy little spaghetti strap. This is the By Hand London Sabrina dress in View B. 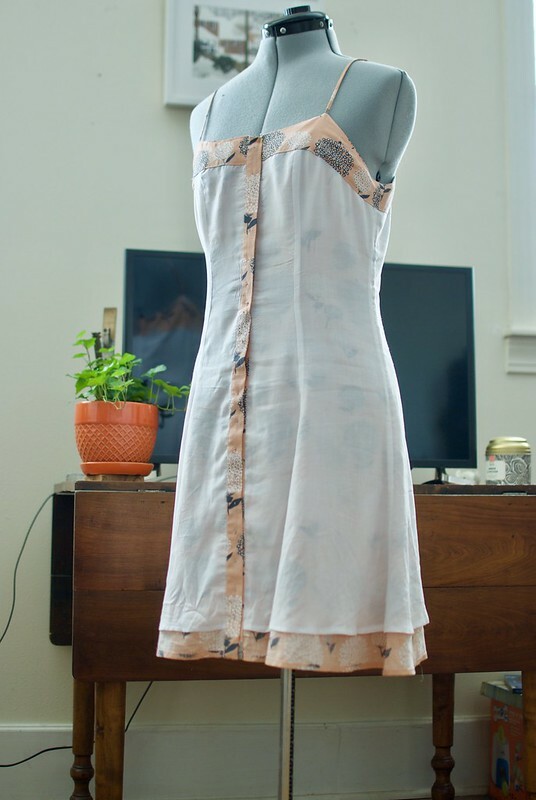 For the main fabric I used this Peach Dandelion Slubbed Cotton Woven from Mood online. 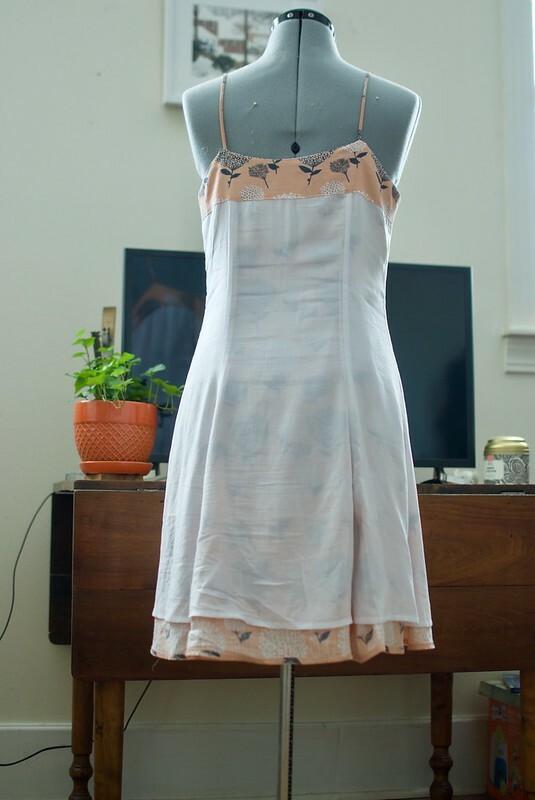 This fabric felt very crisp when it arrived, but after prewashing it became incredibly soft and took on a light, airy drape – perfect for a summer sundress! Of course I made my life 1000 x’s harder by attempting to pattern match this (unbalanced) pattern along those princess seams – which isn’t really possible so I had to settle for matching right along the waistline. It worked out pretty well, except things got a bit off at center back where the non-symmetrical nature of the print meant one of my dandelions got awkwardly cut off in the seam. Ah well! Close enough! The fabric was a tad sheer so I decided to insert a lining. I used my most favorite and probably most blogged about fabric – this White Solid Viscose Batiste. I am not joking when I tell you that I would buy bolts upon bolts of this fabric. It feels so delicious next to the skin, and is so breathable. It makes the perfect lining, but is also gorgeous all on its own that I’ve used it as a fashion fabric before as well (like with my Edwardian Blouse). 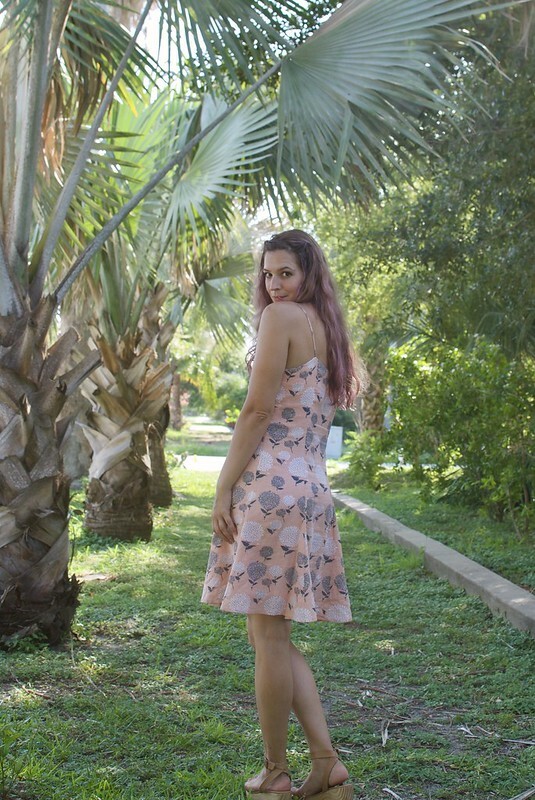 Of course this pattern didn’t call for a lining, so I simply cut the regular dress pieces, then sewed the facing onto the batiste lining, and made sure to hem the whole thing a couple inches shorter than the actual dress. Of course, my “quick sundress” project kept getting more difficult as I had to sew 18 buttonholes for this baby. Not going to lie, on my manual 4-step buttonholer, it felt like 1000! Could I have cheated and omitted all the buttonholes below the waist – simply sewing the buttons through the placket and calling it a day? Of course. Did I? No. All those buttons are fully functional. Will I ever unbutton them all? Probably not, but at least I know they work!! Fit-wise, I can think of a few things I would change on this dress. The princess seams are designed so the skirt flares out from the upper hip area, rather than from the waist, which really isn’t the most flattering on my shape. If I make this pattern again I would change that, and perhaps tweak a couple of the seams here and there. Is it enough to stop me from wearing this dress multiple times a week? No. Guys – it’s 100 degrees in the shade. This dress might be the only thing keeping me sane! Which is why I have another version already in the works! How are you guys staying cool this summer?